Case Construction Equipment, a brand of CNH Industrial N.V. gave the public an insight into a sustainable, connected and technologically advanced future of construction at the bauma trade show in Munich, Germany, with the unveiling of its methane-powered wheel loader concept – ProjectTETRA. 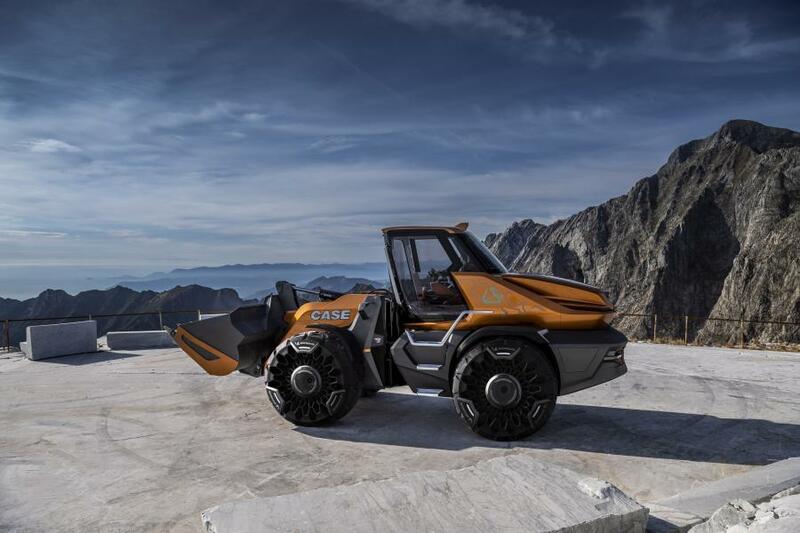 Jointly developed by the CNH Industrial international design and Case engineering teams, this concept is a clear departure from anything seen to date in the construction industry. The concept reflects both the increasing importance of alternative fuels, and demonstrates their viability in the construction environment: the concept wheel loader is powered by a proven methane engine, produced by sister brand FPT Industrial, and delivers exactly the same performance as its diesel equivalent. This is combined with cutting edge styling and an advanced operator environment, which makes extensive use of touchscreen and voice control technologies. Furthermore, innovative safety features include biometric technologies together with an obstacle detection system, which is derived from CNH Industrial's autonomous vehicle research and development program. The Case methane-powered wheel loader concept is testament to CNH Industrial's longstanding commitment to alternative fuel technologies, and is further proof of the practicability and flexibility of natural gas, demonstrating its viability in both on and off road applications. For further information on the Case methane-powered wheel loader concept – ProjectTETRA, including images, video and technical information, please visit: http://bit.ly/CASE_ProjectTETRA.